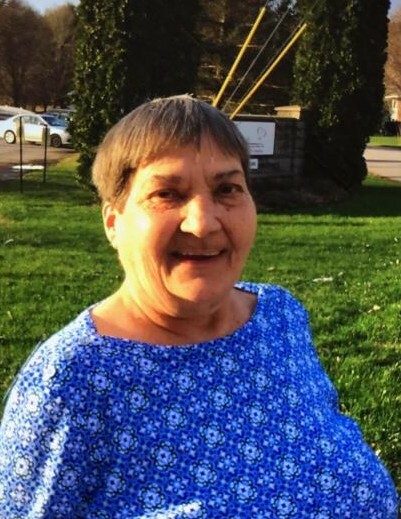 Janet Elizabeth Tomei, age 66 of Little Falls, NY has entered into eternal rest on Friday, Nov 16th, 2018, at The St Johnsville Nursing Home after a long illness. Janet was born on a beautiful spring day. It was Thursday, May 1, 1952. She was one of a set of twins born to the late Frank J. (Masle) Tomei and Maryellen Colwell Tomei. Janet was educated in Little Falls Schools and earned her high school diploma in 1971. Janet is survived by her twin brother Jay F. Tomei and his wife Pam, her brother James P. Tomei, her sister Elaine M. Enea and her husband Vincent, her brother Frank J. Tomei and his wife Candace. Her Aunt Jeanne & Uncle Bill Murphy and Aunt Jeannette Clapper, in addition she is survived by several nieces and nephews and cousins and many friends. She was predeceased by a beloved brother Ronald J. Tomei and a special nephew Anthony M. Enea. Although, Aunt Janet never married or had children, she devoted her life to endlessly showering love and affection to all of her siblings children. In addition to being a generous and compassionate person, she was an incredible cook, she found the greatest joy in being able to make a delicious Italian meal and provide for others. Always offering to cook a pot of sauce, or to make her famous lasagne. As a young girl, Janet spent a lot of time with her Grandmother and Grandfather Tomei watching them cook old school (Italian) recipes and make wine. She absorbed it in and was able to provide many years of delicious food for her family and friends. During her working years, Janet was employed at the former Allegro Shoe until it closed down and then went on to work at Salada/Redco Foods. She had a strong work ethic, and could always be found working part time at the Italian Feast. In her leisure time, Janet loved to watch Lifetime movies or to get together with her friends and play cards. Pitch was her game. She also enjoyed her trips to the casino. The family would like to extend a sincere Thank You to the dedicated staff of The St Johnsville Nursing Home for the wonderful care and compassion shown to Janet during her illness. Funeral services will be held on Sunday November 18, 2018 at 4:00 pm from the Vincent A. Enea Funeral Service, (next to NBT Bank), 527 E. Albany Street, Herkimer, NY 315-866-1500. Burial will take place in the spring at the convenience of the family. Relatives and friends may call at the funeral home on Sunday November 18, 2018 from 2:00 pm until the time of the services at 4:00 pm.